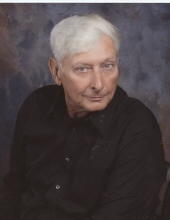 James Howard Edwards of Shannon, was born Monday, August 24, 1953 in Robeson County to the late Henry Hiram Edwards and Doshie Ethel Edward and departed this life on Saturday, April 13, 2019 at Southeastern Reginal Medical Center in Lumberton, completing his journey of 65 years. Hs is survived by his loving wife of 48 years: Betty Faye Edwards of the home; one son: Jamie Jacobs (Marsha) of Shannon; two daughters: Saprina Michelle Edwards (Russell) of Lumber Bridge, Kimberly Dawn Edwards of Shannon; four sisters: Doris Mclean, Margaret Deluca both of St. Pauls, Susan Faye Lowery of Red Springs, Mary Janet Lineberry of Graham; two brothers: Joseph Edwards of St. Pauls and Norman Edwards of Red Springs; six grandchildren, three great grandchildren, special fur baby named Angel and a host of nieces, nephews, cousins, and friends. James has two very special grandsons that he has helped raise and has loved as if they were his own: Daniel De’Coty Edwards and Ty Delainie Edwards, both of Shannon. He was proud and encouraging of both these young men that felt more like sons than grandsons to him. To send flowers or a remembrance gift to the family of James Howard Edwards, please visit our Tribute Store. "Email Address" would like to share the life celebration of James Howard Edwards. Click on the "link" to go to share a favorite memory or leave a condolence message for the family.